Boudewijn joined the team as Vice President Marketing and Business Development in 2010, and is now the Chief Marketing Officer. He is also the Chair of the Canadian chapter of the Institute of Asset Management and Convener of asset management working groups at the International Organization for Standardization ISO and at the International Council on Large Electric Systems CIGRE. Boudewijn has extensive experience in international business development, having started and led the development of graphic arts giant Creo in Europe, the Middle East and Africa, and later led all marketing activities for Creo worldwide. 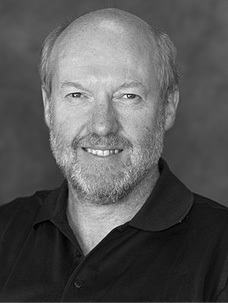 Most recently he was responsible for marketing, international business and product management at Aquatic Informatics. He holds a degree in Mechanical Engineering from the University of Brussels, an MBA from INSEAD in France, and CMRP, CRL and CAMA certifications. Boudewijn is an avid sailor, and has raced and cruised both locally and across quite a few oceans. He also manages a fleet of volunteer search and rescue vessels in BC, which allows him to apply risk-based decision making and asset management first-hand.